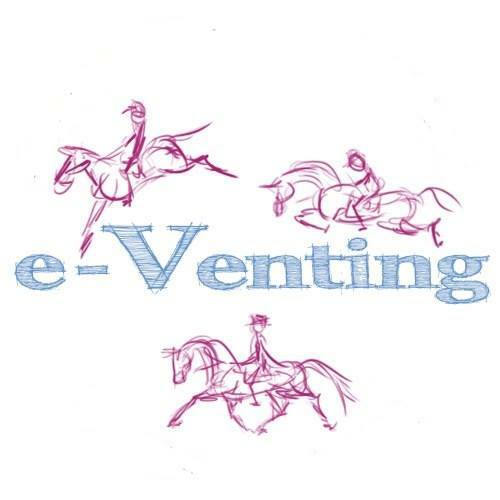 Ideas To Make Eventing Safer, Part 1. A Two-Tier System? 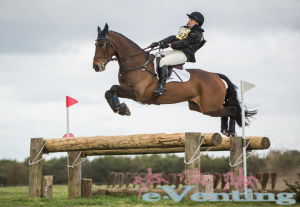 Cross-country – not always straightforward! I’ve been eventing for a long time, up to a pretty high level here and there, so I’m not exactly clueless or a total wuss, but I am again at that stage where I am looking for a ‘nice’ (read, fairly ‘soft’) first time run as I step a horse up a level, and seriously wondering where to go and quite what I might find when I get there. Part of it is psychological, I realise that – you don’t know, till you go and try it, how a horse will cope with the step up (and I’m talking about BE100 to Novice, which is generally viewed as the biggest difference between levels) and, once you have the first one or two under your belts, it’s much easier to feel really confident and crack on with more. Whatever the ‘powers that BE’ might say about all events at a given level ideally being of equal difficulty, I think most riders would agree that they are not, and that some are known to be ‘top end’ and others softer… but not always! Some Novices I’ve done in the past were basically a BE100 with a few bigger or trickier fences. 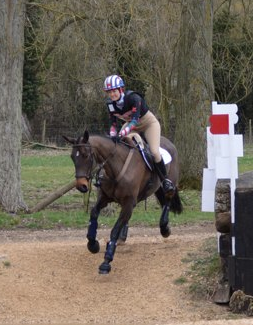 But other ‘Novice’ courses are pretty daunting and walked, and rode, far more like an Intermediate… a huge difference. Me and Daisy… who is showing a teensy bit of greenness at suddenly seeing the water at BE100! One of the worst feelings is turning up at an event, walking the xc course, and thinking “ermmm… this is really quite a question for this horse… In spite of all my preparation, I honestly am not quite sure s/he is ready yet…” I have no problem with withdrawing in this situation, and have done so, but it is frustrating, disappointing and expensive to do. Of course, I totally see that it is up to the rider to try to make sure that they and their horse are ready for whatever the course may ask, and there is no excuse for not preparing, but most horses, as they go up the levels, will have certain chinks in their armour which might need careful choices made so they aren’t yet asked to do things that they can’t quite deal with. Confidence is everything, and once jolted can be very difficult to rebuild. I am particularly wary of overfacing a horse with a big ditch before it is ready. Of course the naturally bold ones whizz over a trakehner or a ditch-palisade or ditch-brush as if it wasn’t there, and the really good ones don’t even notice the step up from one level to the next. But sometimes you can have a ditchy horse who really needs to build its confidence up very steadily, and can in fact end up being very brave as long as this is done carefully (I had a mare exactly like that – her confidence was never jolted, and in spite of being an utter wuss at Pre-Novice and Novice level she became bold enough to become a rock-solid Intermediate horse, and sail happily around a couple of 2*s, one of which included some pretty full-up Advanced fences!) But present some horses with a maximum-dimensions ditch-fence before enough deposits have been made in the confidence bank, and you could end up creating a horse with a permanent aversion to ditches. When you step up a level, in one go, you have the increase in height (from ‘can make a mistake at 1m or less, and usually get away with it’ to ‘really need to be pretty accurate’ 1.10m) as well as the increase in intensity, plus the technicality of the questions. More difficulty in more ways than one. Initiatives such as at Bricky to bridge the gap are definitely a step in the right direction, but surely need to be far more widespread? I see a basic problem of very different requirements at the lowest levels, and especially at BE100 and Novice. Some riders, usually mounted on horses that are pretty experienced (and often very happy at that level, and not necessarily aiming to go higher) want it to be a mini-Badminton, with a real sense of accomplishment at having gone clear, while others (and I’ll freely put my hand up at this point) would like at least their first few runs at a level not to be overly technical, but rather to (primarily) encourage and educate, rather than test. More like the good old ‘hunter trials’ courses, which aren’t so easy to find now! 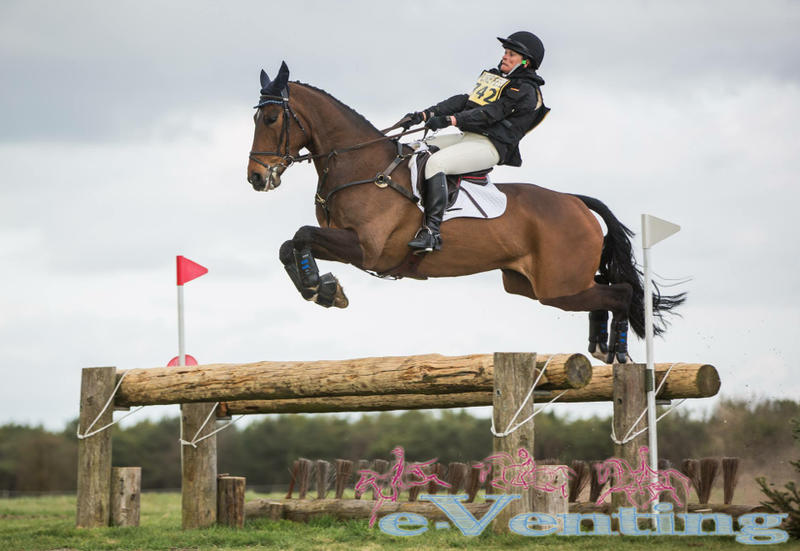 XC schooling, while of course useful, is just not the same… the whole competition atmosphere and pressure, and doing 30-odd jumps over about five minutes without stopping, so building up a bit of a flow and some adrenalin, make a huge difference. So, I would like to propose a two-tier system, with more straightforward courses (ideal for first timers, young horses, the less experienced riders, or maybe a horse or rider who needs a confidence boost) and separate, more technical, challenging courses, at the various levels, particularly the lower ones. This would make things more complicated, but perhaps the lower tier events would not be Qualifiers, for either Regionals/Grassroots and for the next level up? It would of course mean that riders would have a far better idea of what they would find when they arrive at an event, with no unwelcome shocks. I find it absolutely ironic that at the biggest courses in the world, the 4* courses, riders know weeks before (thanks to Press reports, video ‘course walks’ and so on) exactly what they will face, and that popular XC schooling venues even have time to build pretty similar questions so that riders and horses are fully prepared! So, those at the very top of the game get this information early enough to practice the precise questions they will face, but someone facing their very first BE100 or Novice doesn’t?! That strikes me as utterly crazy. One can’t rely fully on previous years’ course photos, or previous reports, as big changes can happen in the interim… a course deemed too soft might be beefed up, and vice-versa, and new fences, loops, or combinations can be added. Tier 1: A ‘mini Badminton’ sort of course. More of a top-end course for the level, far more technical and with the inclusion of more daunting, maximum dimensions, ‘rider-frightener’ fences. I think both would be popular, for different reasons. An event could state the intention of their course being Tier 1 or Tier 2, and then the TA or BE Steward could tweak it if necessary. Or an event could even possibly run both Tiers, if they could do two separate courses at a level, or at least only share a few fences between them? Seeing which Tier riders would choose would be very interesting. I don’t think the fear that this would prove divisive because Pro riders would only choose Tier 1 has any basis – it would depend totally on the individual horse and circumstances, surely? I have been preoccupied with the XC phase throughout, because that is the prime safety consideration, but what if the higher Tier level had a more difficult Dressage and possibly Show-Jumping phase too? Many established competitors as the lower levels would relish that. But the XC is the main consideration when we are talking about safety, and there is no getting around the fact that the first run at a level is a real test, and the inescapable fact is that sometimes that test is not met successfully, with absolutely tragic consequences. What do you think? Do you like the idea of a Two Tier system, to make things more predictable and therefore hopefully more safe, or do you think the system is absolutely fine as it is? It’s an interesting idea, but sounds a bit complicated to me. It also has the potential to be argued this infinitely, with Tier 1 then being split into A and B, etc. Why not simply stipulate that a course must be set at least three weeks before an event, and that all registered competitors will receive a diagram of it via email beforehand? Or that they are welcome to come and walk around before the day itself. 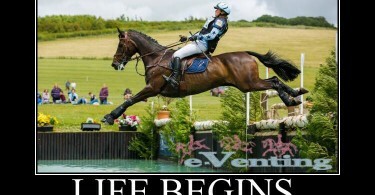 Of course inclement weather might knock a jump or two out of a course, but that happens at Badminton too. Whilst understanding why you want the tiered system, in practice it would be expensive, and locations would skew entries and create grievances (why is our local course dumbed down/made too beefy) and it’s adding to the never ending dumbing downward spiral. A more easily achievable solution might be to have the few strong fences that could rattle a youngster with an alternative ( the BE 100 fence on the course, for example) that would add penalties to your score, but still allow a completion. When PN was introduced (I am that old!) all that happened initially was the course was mostly shared between N and PN, a biggish loop was kept at N level which the PNs didn’t jump, so maybe there could be a solution there? If your horse is coping and flying, then you can do the strong fences, if not feeling that great, stay at the alternatives and keep the confidence up. At WEGs and Olympics a simpler question at the serious fences has been used with great success for the less experienced nations, so there’s already a precedent for it. I think tiering a system is simply adding another level, and there are too many as it is. Sorry but I disagree with this completely. Our local events are already down on entries over the last couple of years, And this is despite 80 classes being introduced to tempt a wider grass roots entry. The cost of building new courses and fences for yet another level (which is what it would be despite whether or not you call it a ‘tier’ system) has huge financial implications, which most venues could not accommodate. All venues offer a course description on the entries page, and the ones that are straight forward and inviting are stated as such. Perhaps more emphasis should be placed on training at home, and whilst you state that xc schooling does not replicate an even environment, which I appreciate, there is nothing stopping you from riding a course without the stops and starts, therefore giving yourself a true indication of where you are. In my opinion you are either ready to step up a grade or you aren’t, all courses will be within the BE requirements of that level and so if you horse isn’t confident enough in a certain aspect surely you would remain at the lower level Until confident? Surely making an ‘easy version’ of a particular level is for the purpose of people who want to say they are competing at a higher level than what themselves or their horses are currently capable of? Simple straightforward xc courses invariably end up as a dressage competition, and if that’s what I wanted Id register BD. Yes mistakes will invariable be made after the step up, but surely that’s part of the learning curve? Competitions are not always about being competitive, sometimes you have to use it as education, albeit an expensive lesson!